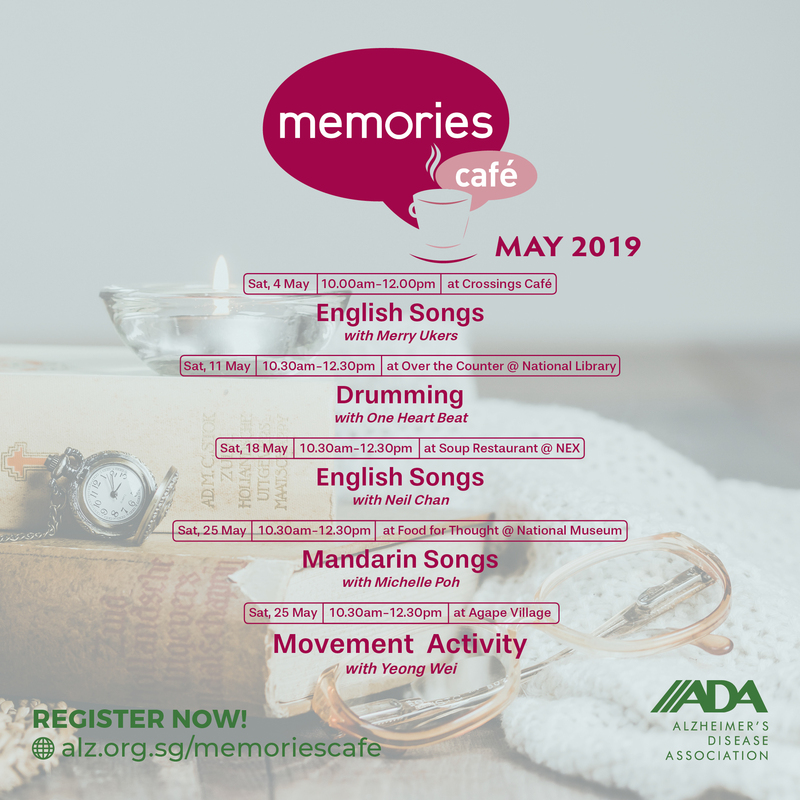 Memories Cafe provides a fresh change of environment for caregivers who have long been attending support groups held in more formal settings such as dementia day care centres. For Persons with Dementia, the programme gives them the opportunity to meet others with dementia and have fun in an environment that accepts them. 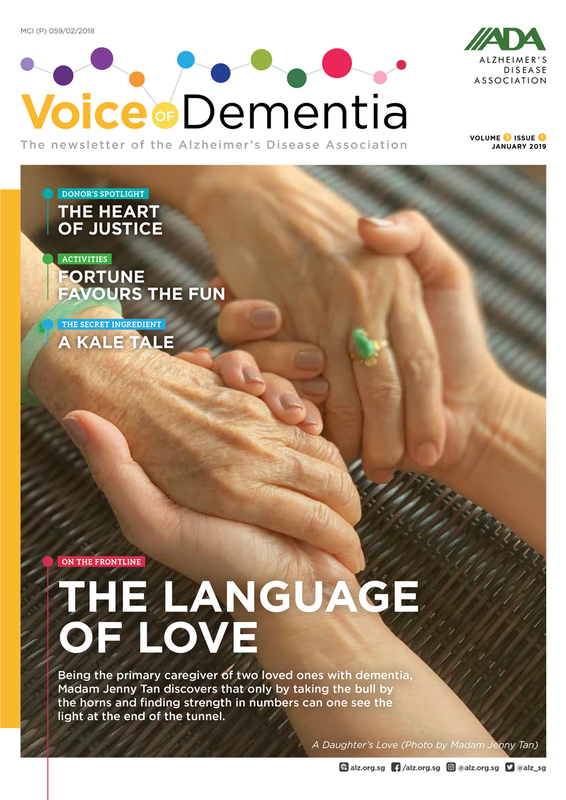 To provide a safe, supportive and conducive environment where activities and social interaction are organised for persons with dementia and their caregivers. The Memories Café programme, modelled after the Alzheimer’s Café, was successfully piloted in early 2014. The responses garnered from the two pilot sessions were overwhelming, which spurred ADA to include the programme as part of its regular programme for its beneficiaries. The programme remains very popular, and fully enrolled at almost every session. This is a two-hour outing for Persons with Dementia and their caregivers. The first hour focuses on engagement activities such as sing-along, enjoying a music performance, drumming, puppet and drama activities led by community artists, volunteers and staff. The second hour is designed for social interaction among Persons with Dementia, caregivers and customers at the café accompanied with drinks and snacks. Download the Memories Cafe brochure. Persons with Dementia (mild to moderate stage) who enjoy performance activities. The Person with Dementia needs to be accompanied by a caregiver. 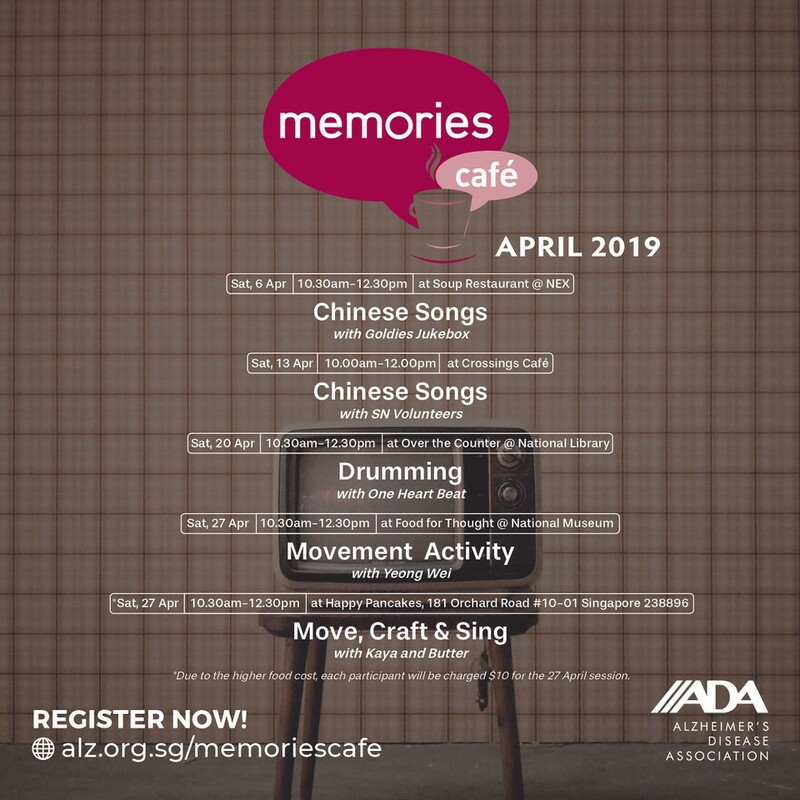 Effective January 2019, the Memories Café programme will be charged at $8.00 per pax (inclusive of GST) per session, unless otherwise stated. Note: Due to higher food cost, the programme at Happy Pancakes on 27 April 2019 (10:30am to 12:30pm), will cost $10.00 per participant.